If you have room for a pot on the patio, you can grow a pocket garden. Whether it’s a handful of herbs, a snacking garden, or a pollinator way station, pocket gardens are an easy way to get started with gardening. 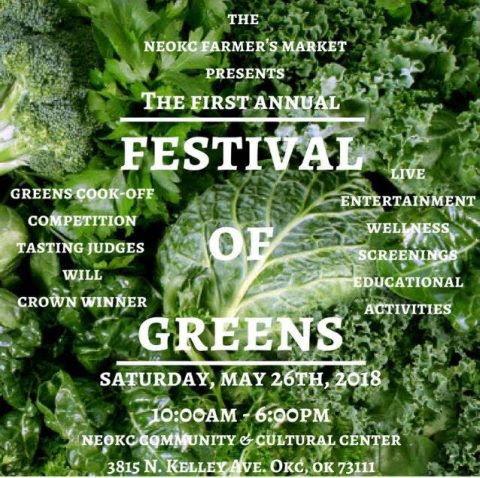 Elia will show examples of plants that can be tucked into the smallest of spaces, and participants will get to help plant several on-site pocket gardens. Instructor: Elia Woods, co-founder and farm manager of CommonWealth.$10 per class; $15 per couple/pair; free to volunteers. See full schedule and season rates HERE. Applications Due for Next Apprenticeships! 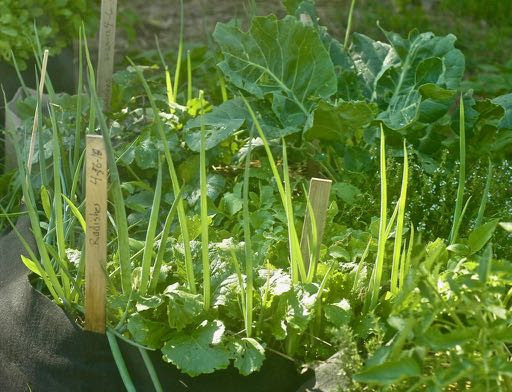 Do you want to grow some of your own food and spend more time outside? Are you a horticulture student looking for practical, hands-on learning? Or a home gardener ready to step up to the next level? Then CommonWealth’s apprenticeship program might be just the ticket for you! 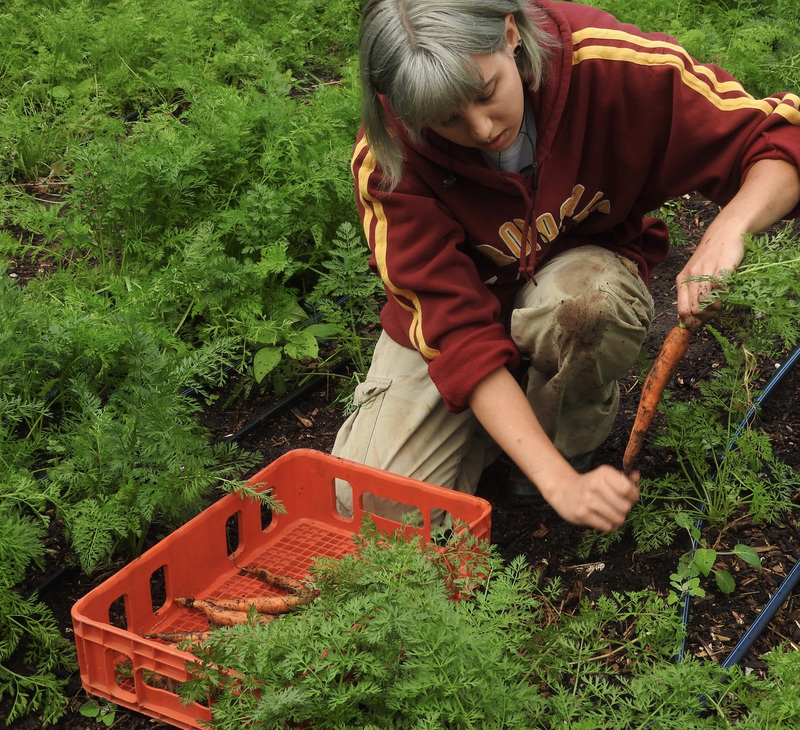 Apprentices volunteer for 8 hours per week for three months, and have the opportunity for hands-on learning in the midst of a working urban farm. Our farm includes vegetables, herbs & cut flowers, a hoop house, food forest, composting operation, and a rainwater harvesting system. Plus, we have a lot of fun together! Our next apprenticeship season is June 4th through August 31st. Applications are due this Friday, May 25th. Click here for more information or to apply. As a little girl, Olivia gardened with her grandmother, who gardened organically, composting and applying smart plans like planting tomatoes in rows of corn for shade. Olivia’s first vegetable garden was a failure, but she has always grown herbs, and, for the last 18 years, many flowers. 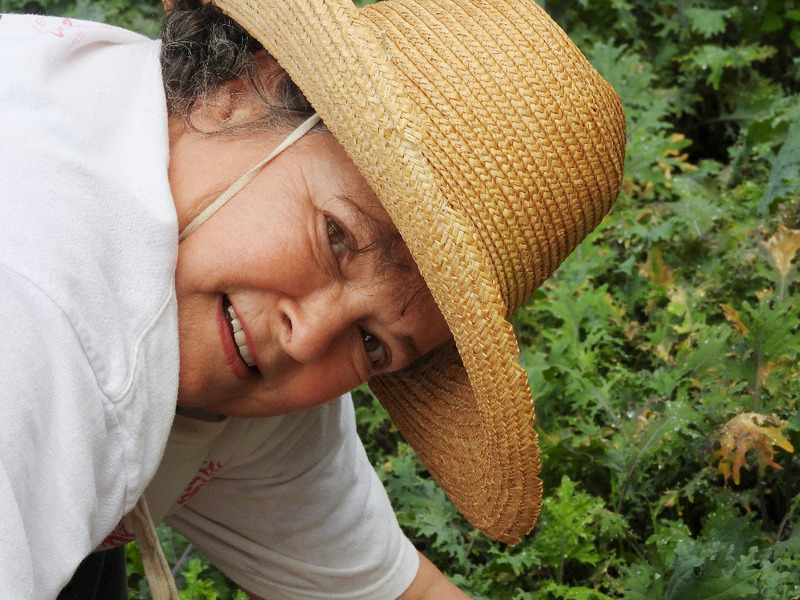 Six years ago she began growing tomatoes, peppers, eggplant, green beans, lettuces, radishes, chard in three 10 x2.5-foot raised beds—much of which she shares with friends. For several years she has been a member of the CSA/Veggie Club because she prefers local, fresh vegetables. She loves to cook and try new recipes. 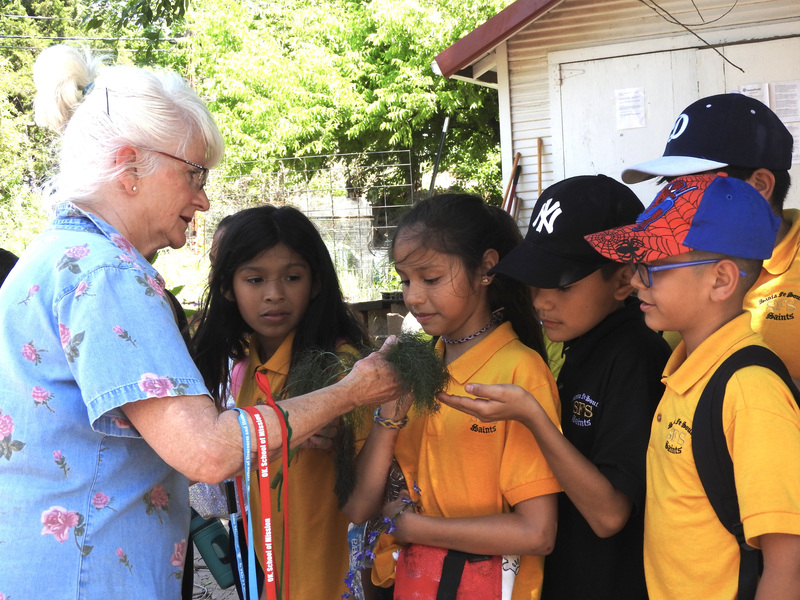 She’s learned more about taking care of herbs, rotating crops, the dreaded thinning process, how to time crops for multiple harvestings. She finds the food forest interesting. The carrot—likes it sunny and loose and sandy. Comes in a variety of colors; orange, red, white, purple, yellow—any range within—even blue. Rich in sugar; fun fact: the sugars are stored in the core so when selecting carrots the larger diameter usually indicates a sweeter root. Carrots also tend to pick up a more sweet and crispy quality when grown in the cooler parts of the season, with over-wintered carrots being just about any root aficionado’s favorite.Carrots are quite a space and time investment, with maturation dates taking anywhere from 2 to 4 months. 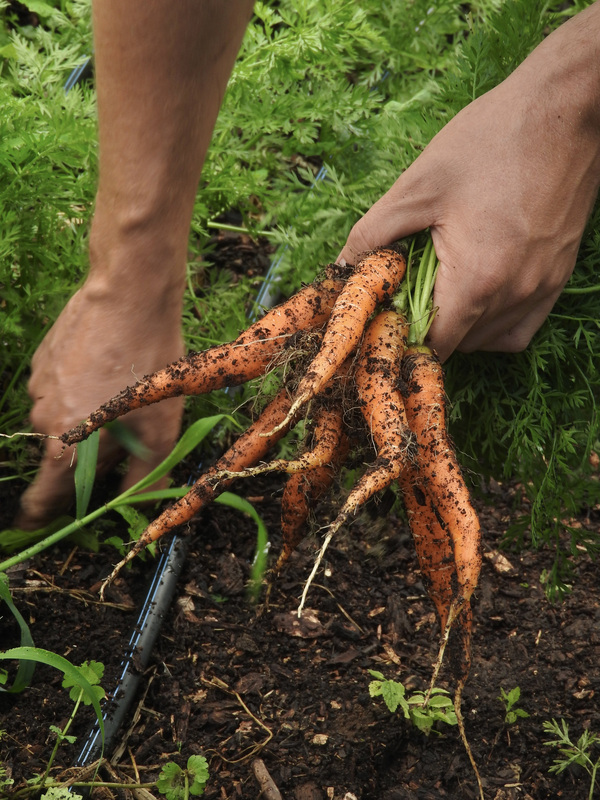 A good beginning is half the work: keep carrot seedlings moist after direct seeding as they are prone to drying out, cleverly leaving you with a bed full of weeds rather than crispy, crunchy, dirt horns. Keep those babies wet: daily watering until emergence is recommended. Light mulching or fabric covers are also good ideas. 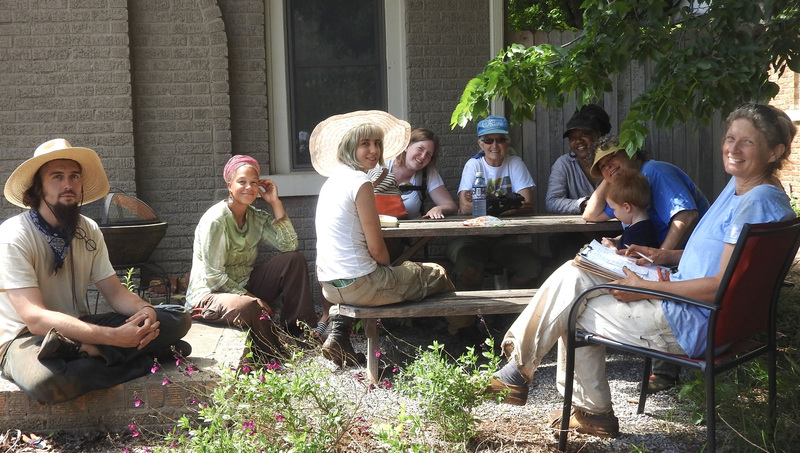 Friends drop by the CommonWealth Urban Farm community off and on for a few moments of quiet and to breath in nature. Volunteers tell us how lovely it is to enjoy nature as they work on the farm. They tell us we should celebrate the beauty of this place. And so, we are! food forest, the composting operation, they had close encounters with some of nature’s crawling things and got very closeups of Larkspur.Two Yellowtail Butterfly caterpillars were discovered on a Fennel plant (upper photo.) 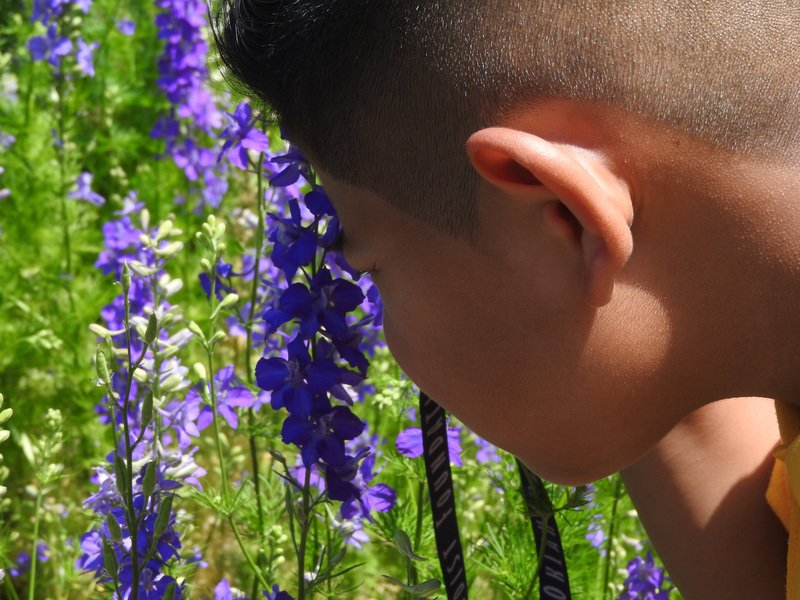 To their delight, Allen introduced them to Red Wiggler Worms and, viewing Larkspur through jeweler’s loupes, they got to see the orchid-like center with its tiny antennaed yellow flowers—invisible to the naked eye.